On Wednesday evening members were treated to a rare insight into the world of the local press photographer. 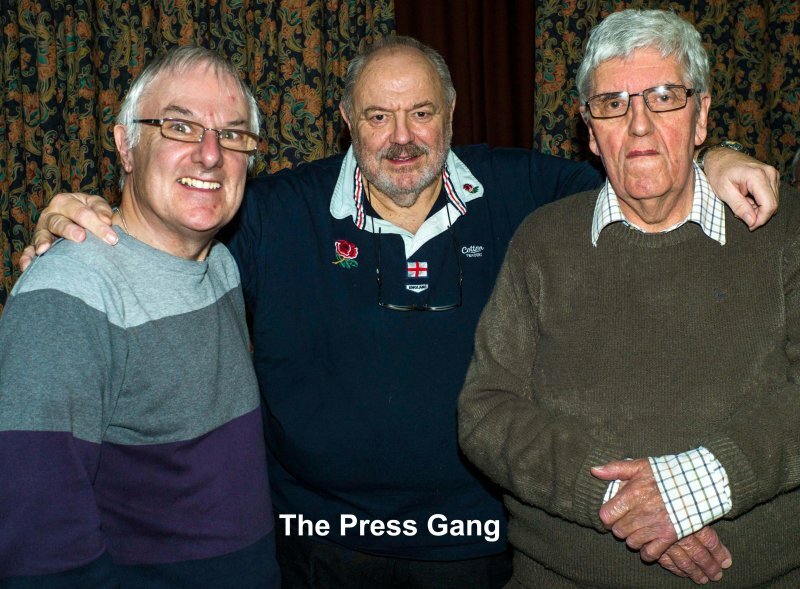 Ken Hewitt, the club’s Press Officer, invited along two of his pals Tony Clixby and Gerry Lockley who like himself are retired local press photographers. They displayed a selection of A2 prints and projected digital images and held the audience’s interest with their thought-provoking and humorous tales of their encounters and exploits in this competitive profession. Starting with personal monochrome images taken in the 1950s up to photos of Prince Charles and the Duchess of Cornwall taken on a visit to Cheshire just two years ago, the subject matter was extremely diverse. They handled everything from politicians to aristocracy to sports personalities to local school children, to baby birds nesting in engines to road traffic accidents and when off duty instinctively captured images of the world around them. Given anything up to 20 assignments per day, they explained that the greatest skill of the local press photographer was to quickly engage with the subject matter and create an attention-grabbing image that told a story - all in 15 minutes before they moved on to the next job. It’s a credit to these professionals that despite working for different publications and effectively competing with one another they never “stole” a shot but always tried to create their own picture. Thanks to this and their love of a profession that can be both exhilarating and dangerous, they enjoyed a camaraderie that endures.